We are the leading manufacture for Solar Structures. We manufacture and supply all types GI steel structures Profiles used in building up of solar power project including the necessary cleats, clamps, anchors, nuts bolts. 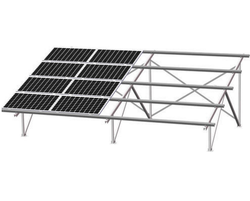 Pre- galvanized structures for solar projects. We are reckoned in the market as eminent manufacturers, suppliers, and exporters of C Purlins. Used for various roofing solutions and solar power projects, these products find application in the construction industry, solar power plants, and building repair. Known for their longer service life, resistance against moisture & adverse weather conditions, low maintenance, and corrosion free surface, these products have gained a high demand in the international market. 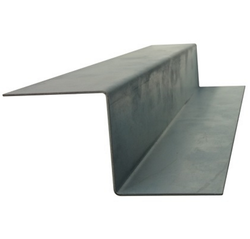 C Purlins are specially packed in damage proof packaging to ensure their safe and secure delivery. We are the leading manufacturer for solar power plant structures. We manufacture and supply all types GI steel structures & Profiles used in building up of solar power project including the necessary cleats, clamps, anchors, nuts & bolts. Pre galvanized structures for solar projects. We Also manufacture C Channels, C purlins, U Channels, Z Angle Z Purlins, I beam for Solar power plant structure. We own a modernized, large and well-coordinated infrastructure that has enabled us to manufacture, supply and export Z Purlins. Used for different roofing solutions, these products find application in the construction industry. Our clients appreciate these products for their accurate dimensions, ability to withstand extreme weather conditions, resistance against corrosion, longer functional life, easy fitting and low maintenance. Available with us in varied sizes, these products have a high demand in the market. Z Purlins is packed in special packaging material to ensure its safe and secure delivery. We are the leading manufacture for solar power plant structures. 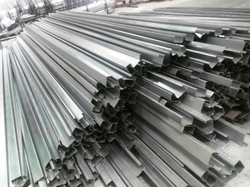 We manufacture and supply all types GI steel structures Profiles used in building up of solar power project including the necessary cleats, clamps, anchors, nuts bolts. We Also manufacture C Channels, C purlins, U Channels, Z Angle Z Purlins, I beam for Solar power plant structure. Looking for Solar Profile Stuctures ?